I had your cable this morning, and replied as follows:See telegram of April 9, 1937 . Price suggested for fifth paragraphSee letter of March 1, 1937. objects Dollars seventy thousand see my letter April six stop am authorising Volbach purchase LuccaBZ.1937.18. maximum six and investigate GothaSee letters of April 8, 1937 ; April 9, 1937 ; April 16, 1937 ; April 16, 1937 ; May 22, 1937; June 3, 1937; June 16, 1937; June 26, 1937; July 6, 1937; July 25, 1937; August 21, 1937; September 4, 1937; October 25, 1937 ; November 23, 1937; December 13, 1937 ; February 28, 1938; March 31, 1938; July 10, 1938; July 29, 1938; August 10, 1938; August 16, 1938 ; December 20, 1938; and January 3, 1939. stop sending duplicates photos love Tyler”. I also wired at once to Volbach, and hope to get his answer shortly. I like that Lucca panelBZ.1937.18. very much indeed: it is clear from the photograph of the Gotha panel that the quality is extremely fine. 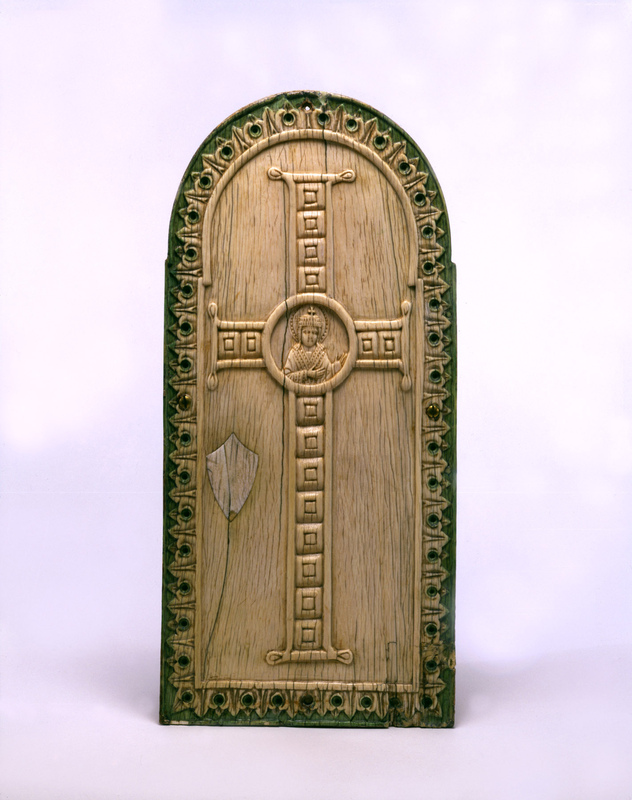 The scheme of decoration is quite unlike that of any other ivory of the period I know. I consider it a very good buy indeed at the price. It would be wonderful if you could also get the Gotha panel. I thought that in view of the very high price: $70.000, which Volbach thinks would have to be offered for the Dresden-Hannover diptych,See letters of March 1, 1937; April 6, 1937; June 3, 1937; July 25, 1937; August 18, 1937; August 21, 1937; September 4, 1937; September 11, 1937; December 13, 1937 ; and December 20, 1938. you had better make sure of the Lucca panel, and took it upon myself to authorise Volbach at once to make the offer. I feared that if I referred again to you we would lose it, for I feel sure there are many dealers who would give $6000 for it. I am sending you herewith enclosed the photographs of the objects referred to in paragraph 1 Page 3 of my March 1st letter. Volbach told me weeks ago that he had sent copies to you, but he appears not to have done so. I am also sending you a photograph, on the same scale as the original, of a reliquaryBZ.1937.19. which has been offered to the National Museum here by a middleman. It belongs to a collectorPossibly the Viennese collector, Dr. Simon Meller, who had been the curator of sculpture at the Szépmüvészeti Múzeum (Museum of Fine Arts), Budapest. See letter of October 7, 1937. in Vienna who has fallen on evil days. The last price for it is Austrian Schillings 4000, and one would have to give the middleman 600 Pengö commission. This works out at some $740 for the object, plus some $118 commission. I consider this very cheap and am sorry I cant buy it myself. The reliquary itself is partly gold and partly silver gilt. The hinge and the knob (perforated so as to be hung on a chain) are pure gold. So is the filigree and a thin plate on which the filigree is applied. This is strengthened with a backing of silver, and the back cover, with the engraved drawing of St. Stephen on it is silver, gilt on the outside. The reliquary itself, with the filigree, seems to me to be Byzantine, of about the early XIIe century, and very good quality. The engraved drawing of St. Stephen is possibly a little later, and has a somewhat western appearance which makes me wonder whether it might not have been made in Ragusa or some such place on the Eastern shore of the Adriatic, under slav influence; this suspicion is strengthened in my mind by the inscription “CTI* CTEΦAN”. If it had been pure Greek, the first word would have been “aγíos” [sic]. I like the drawing very much. Altogether, the object is an extremely interesting one, and very pleasant to the eye and touch, and of very great rarity. 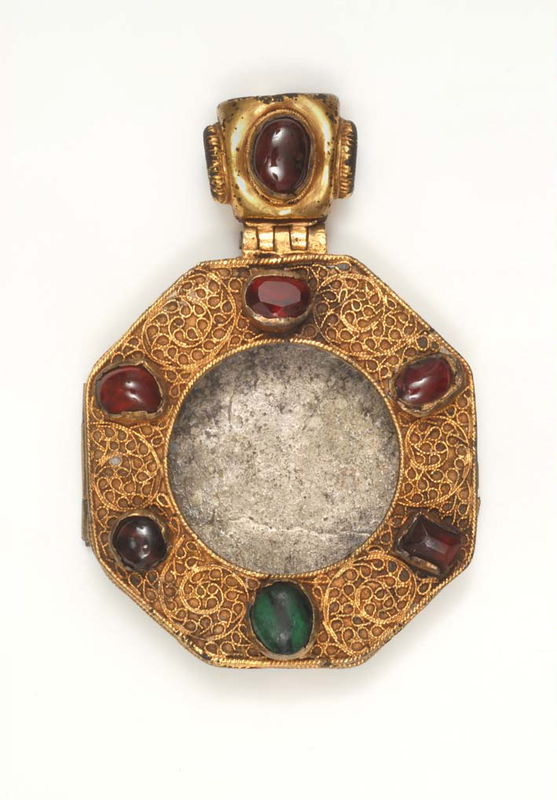 It is complete, except for the relic of St. Stephen which it obviously once contained, and which has disappeared. I would strongly advise you to buy it. Please cable as soon as you can make up your mind, referring to the object as “Stephen”. If you do not want it, please send the photograph to Hayford, Here again, despatch is necessary, for if we keep the man waiting he is sure to sell it to someone else I will add that the National Museum here buys nothing that has not been found in Hungary: otherwise they would certainly buy this object. If you want it, I have money of yours in hand to pay for it.